News UK & Ireland has appointed Richard Bogie as Managing Director at News Ireland and News Scotland following the decision by Oliver Keeneghan, News Ireland’s General Manager Ireland, to leave the job to pursue new challenges and opportunities. 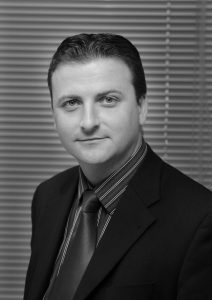 Keeneghan joined the company in 2008 as General Manager and has overseen some major milestones – the launch of the Ireland Edition of The Times in print and iPad and key commercial deals across the group’s three Irish titles. He has also been closely working with the Wireless Ireland teams identifying opportunities that promote the company’s multiplatform offering in the Irish market. “After ten great years with News Ireland the time is right for change in my career. It’s been an amazing experience, never a dull moment and I would like to thank all my colleagues, in Ireland and the UK, who have been on this journey with me. I wish them continued success into the future and I have no doubt that they will continue to grow and develop the business,” says Keeneghan. David Dinsmore, Chief Operating Officer, News UK, said: “Oliver gave a sterling ten years to the company and I wish him the very best of luck with his next move. Richard has already made a huge impact on our Scottish operations and I know he will have a similar one in the Irish market. For his part, Bogie has built up the commercial and corporate elements of News Scotland where he was General Manager, overseeing the group’s three Scottish titles. Speaking about his new Irish role, he said: “In a country that is widely known for its love of news, politics, sport and music, we continue to buck the trends of other media owners in Ireland and invest in our titles and talent.